Wild edible mushrooms are a rare, savory treat and can constitute a unique challenge to find. The edible varieties in Tennessee come in all shapes and sizes, including one variety that grows as large as a chicken. The best area in general for mushroom hunting in Tennessee is Countryside. Go to areas with high populations of oak trees to find a giant mushroom known as the Hen of the Woods, or Grifola frondosa. This mushroom resembles a hen with ruffled feathers both in size and appearance. It is a pale tan mushroom that typically weighs between 7 and 10 pounds. You can hunt for this mushroom in the fall. Hen of the Woods is found in the Cumberland Mountains in the fall. Search for morels in the spring in moist areas. These mushrooms are small, cream colored and have a sponge-like head. The best places to search for these tasty delicacies are near dead trees, in sandy soil and under periwinkle vines. The best places to hunt morels in Tennessee are Cross Plains, Nanchez Trace, Summertown, Hendersonville and Clarksville. Look for the sweet tooth, or hydnum repandum, around birch trees in August through November. 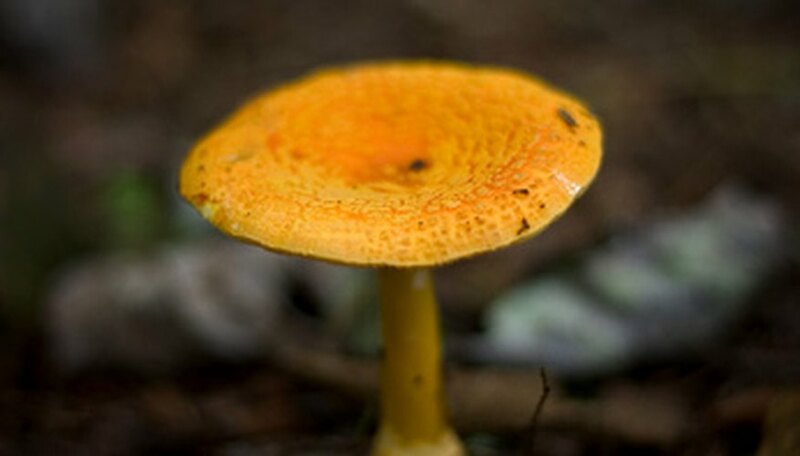 The head of this mushroom is between 2 and 8 inches wide and orange to light brown in color. You will recognize this mushroom by its small, darker colored teeth that break off when the mushroom is handled. These mushrooms grow in groups, so be on the lookout for more than one. The best region for hunting sweet tooth mushrooms in Tennessee is in the national forest. Eating unidentified mushrooms can result in severe sickness and death. Always be sure you are picking and eating mushrooms that are known to be safe.